The AC franchise has always been ahead of its time in terms of racial representation. Altaïr ibn La’Ahad, a Syrian assassin, Ezio Auditore da Firenze, an Italian, and Ratohnhaké:ton [Conor Kenway], English/Mohawk are the stars of the first, second, and third games respectively. Each game has given slavish devotion to historical accuracy, but each has also starred a male protagonist. Until now. Aveline de Grandpré is an African/French assassin, the only black female video game character I can think of besides Rochelle of Left 4 Dead 2, and from what I can tell a complete and total badass. This is a huge step on Ubisoft’s part, and I’m both impressed and proud that they’ve made this choice. Especially when the reception was so expected. Yup, [I know] AC isnt so realistic, but a women? 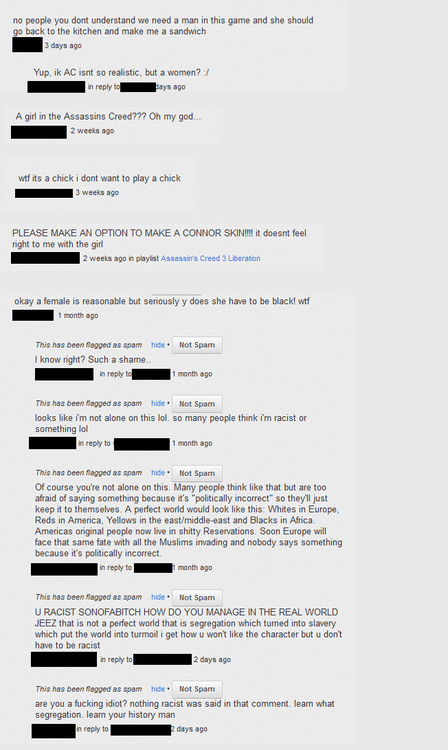 It may seem like this is only to be expected from the video game community, often [and accurately] thought to be both extremely racist and sexist. 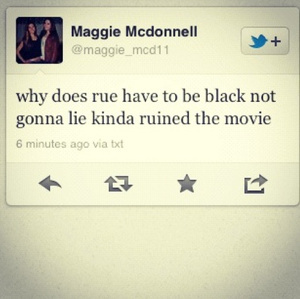 It was only earlier this year that fans of the book series The Hunger Games took to the internet to express their disgust that Rue, a character in the novel, was portrayed by a black actress in the film. The image on the right is one of many incredibly offensive tweets about the casting. Jezebel reported on the phenomenon early this year, but it seems that it’s not the only Hunger Games related news that the site has to write about this year. While the role of Panem-ian heartthrob Finick Odair has already been given to Sam Claflin, months earlier a campaign was started to give it to biracial actor Jesse Williams. This was, again, met with some pretty intense criticism. From racists. Unfortunately a lot of the negative/ignorant comments on this messageboard have been deleted, though Jezebel’s write-up on the situation can be read here. The campaign tumblr is still out there, though it now also discusses racial casting, which I definitely don’t have a problem with. Suffice to say, the world still has a ways to go before we, in North America, anyway, can simply start accepting that not everyone out there is white, and therefore not everyone who appears in art, either electronic or literary, is either. These comments I posted may just be an example of the “loud minority,” but if female or nonwhite protagonists are really a big deal, maybe we should be loud as well. 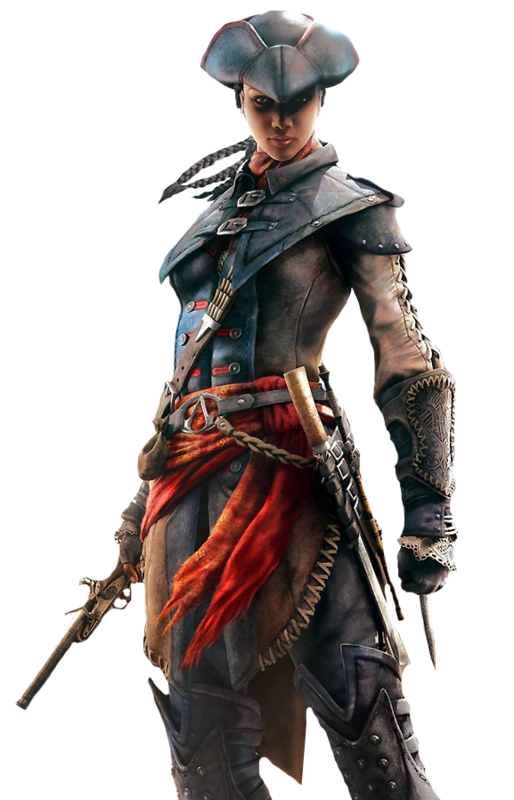 I think Aveline de Grandpré is an amazing addition to an already stellar video game series. I think it is fantastic that she’s black and that she is a woman, and I think that you should too.